The tour was awesome. I couldn;t be asked for better. Awesome tour. guide who was knowledgeable about all the tour sites. Driver was very friendly and warming. The city tour was great especially the cultural performance. I would recommend Blue Mongolia to all. 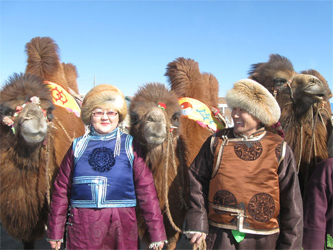 Gobi desert people happily organise and participate in Bactrian Camel Festival in February each year. This extraodinary festival allows travelers a rare opportunity to interact with and learn first-hand about Bactrian camels and camel herder nomads' lifestyle. 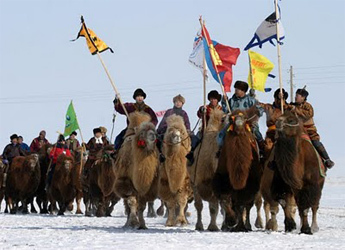 Highlights of the festival include camel racing of more than 1000 camels, performances by traditional Mongolian musicians and dancers, competition of gorgeous nomad spouse on horseback of beautifully dressed camel. After festival, visits to significant paleontological sights and golden sand dunes.